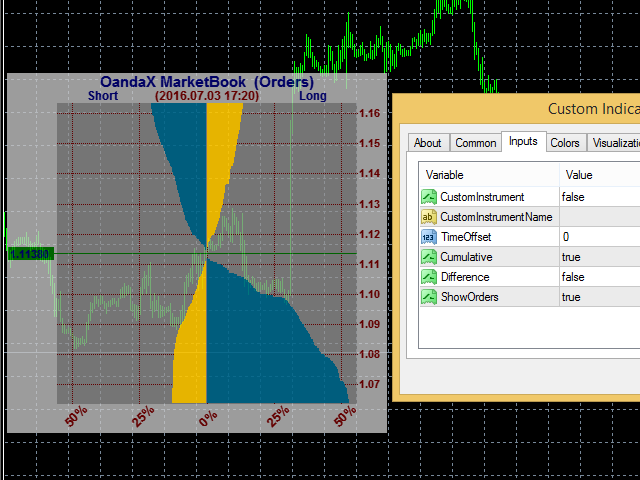 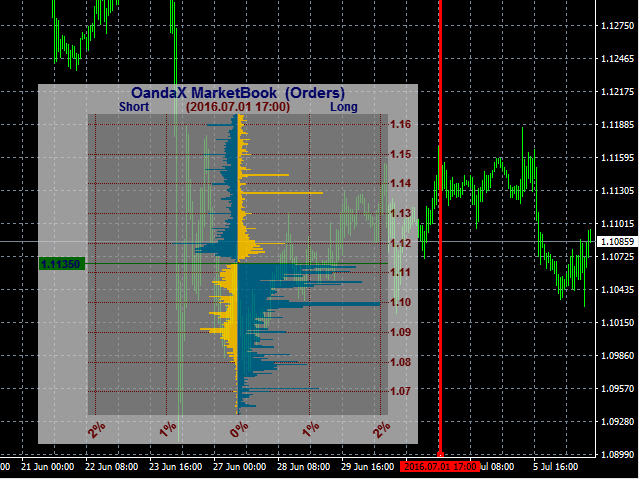 The OandaX OrderBook ImageHistory indicator is designed to display the history histogram of orders or positions on the instrument, nearest to the time specified by user on the chart. 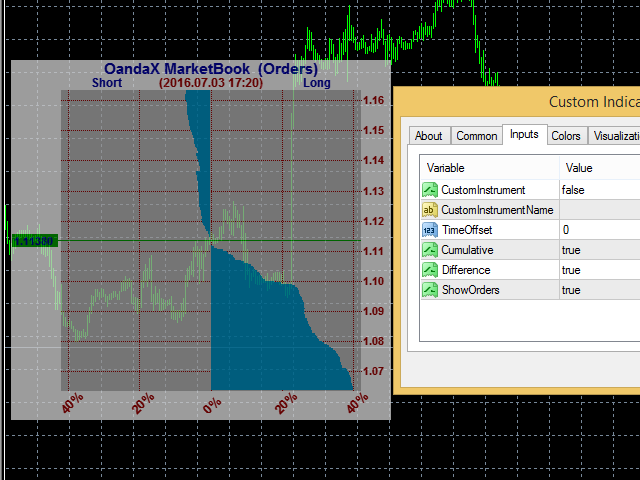 For the constant update of data it is necessary for the OandaX Download Manager EA to be running in the terminal. 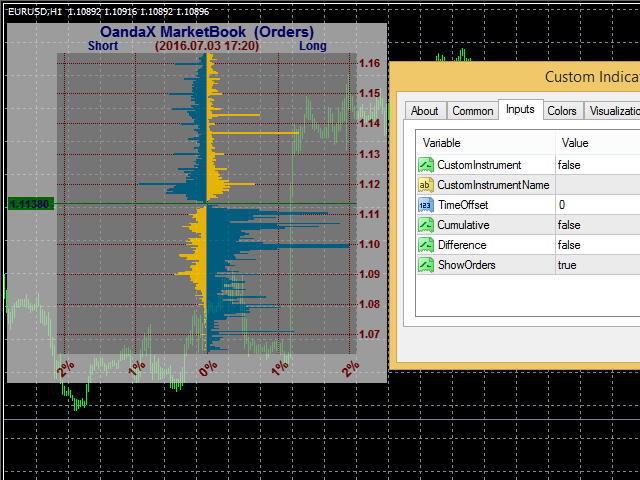 To display the previously downloaded data the EA is not required. 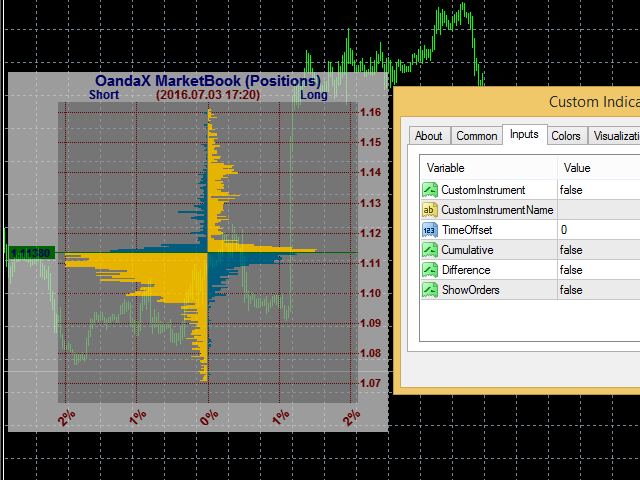 Always show latest available information - if True, displays the latest histogram available, otherwise displays the histogram closest to the vertical line pointer. 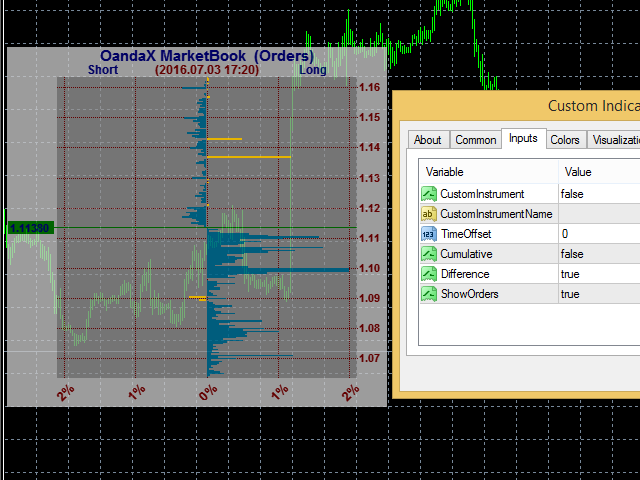 Added display of symbol name in the header.